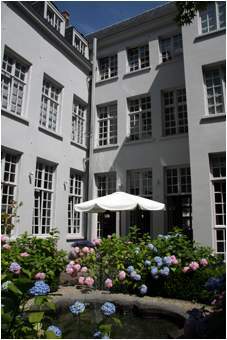 Welcome in Boutique Hotel De Witte Lelie, built in the 17th century and located right in the city center of Antwerp. Enjoy the tranquillity, the contemporary design and our personal service. 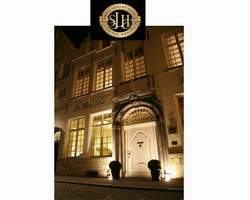 The De Witte Lelie Boutique Hotel is open 24hours a day, entirely smoke free and counts 11 rooms and Suites in total. Available with a twin or double bed. Breakfast is heaven in itself, served at your room with a newspaper and a smile, or sit down at the terras for your beakfast buffet. Spread out for you on your personal table on the terras, are meats and cheeses, pastries, rolls, jam and fruit. Coffee, thea, the most delicious scrambled eggs to order are brought by a charming person who magically knows your name. Mornings can be pleasant too! Royal Museum of Fine Arts houses the largest collection of Rubens in the world (there’s also the Rubens House) and you can see his Descent from the Cross over at De Witte Lelie Boutique Hotel Lady’s Cathedral. For restaurants try t’Fornius and t’Hofke; the Quinten Matsijs café dates from 1565, or there’s De Foyer in the Bourlaschouwburg Theatre. For shopaholics Dries Van Noten are at Het Mode Paleis; Raf Simons and Ann Demeulemeester at Louis - for chocaholics Del Rey best for praline chocolates (although the locals will tell you, fingers a-wagging, pralines and chocolates are two different things).